Free online puzzle with picture of a wild Brair bush. 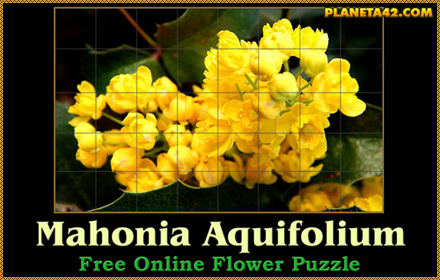 Online puzzle with picture of flowering mahonia. Mosaic game with picture of flowering tobacco. Find the edelweiss mountain flower in early spring. Know the Nature - Plant Puzzles. This collection includes fun nature lerning puzzles with astonishing photos of plants and bushes. The Plant Puzzles are square rotating mosaics with remarkable pictures of a wild and garden plants and bushes. 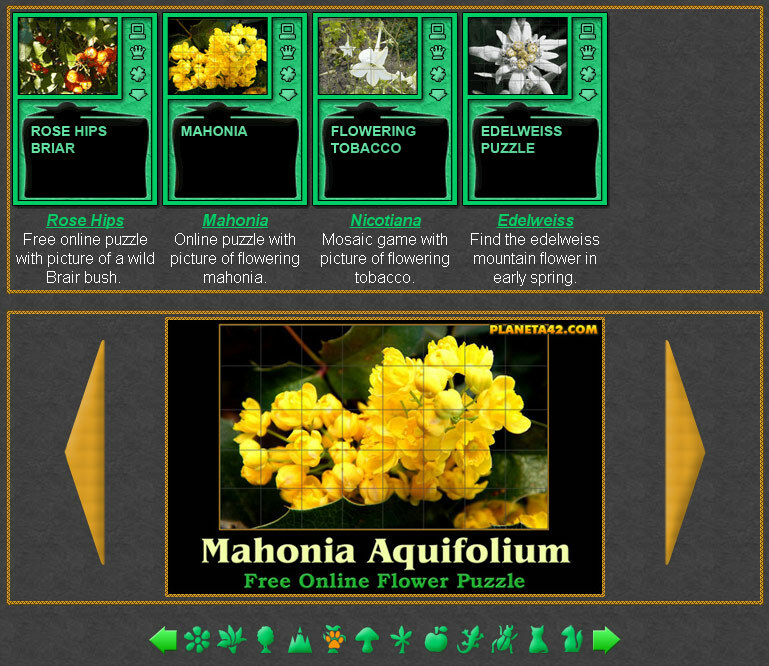 Like all natural puzzels, they are small flash applications, up to 1 MB, which may be played online in a web browser, or downloaded from the plants game page. Another colorful free online games collection. With this fun puzzles, we also acquire new knowledge, therefore completing the game will also reward +1 Knowledge Level. Fun Garden Plant Puzzles Collection. Rose Hip Puzzle - A bushy plant with small red to pink ediable fruites used for tea. Mahonia Puzzle - A bushy plant with pointy leaves, yellow flowers and small round purple fruits. Nicotiana Puzzle - A long white trompet form flowers of the tabacco plant. Edelweiss Puzzle - A white mountain flower that prefers rocky limestone places at about 1 800–3000 metres altitude .